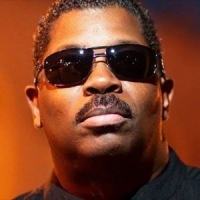 Steve Arrington is an American singer, songwriter, drummer and producer, and former member of the soul-funk band, Slave. He released his debut and biggest-selling album, "Dancin' in the Key of Life" in 1985, featuring the hit single: "Feel So Real". Other albums include: "The Jammin' National Anthem" (1986), "Jam Packed" (1987), "Pure Thang" (2009) and 2014's: "Way Out (80- 84)".